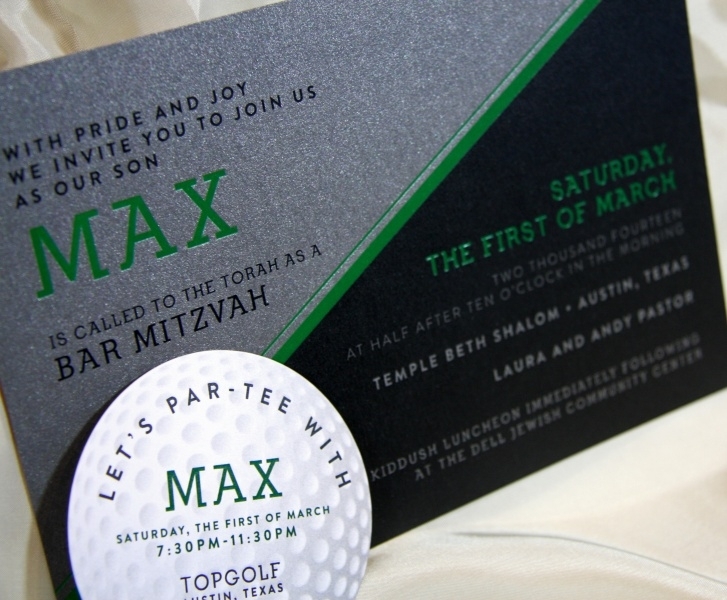 Take a look at Max’s fun and sporty golf themed foil Bar Mitzvah invitations! 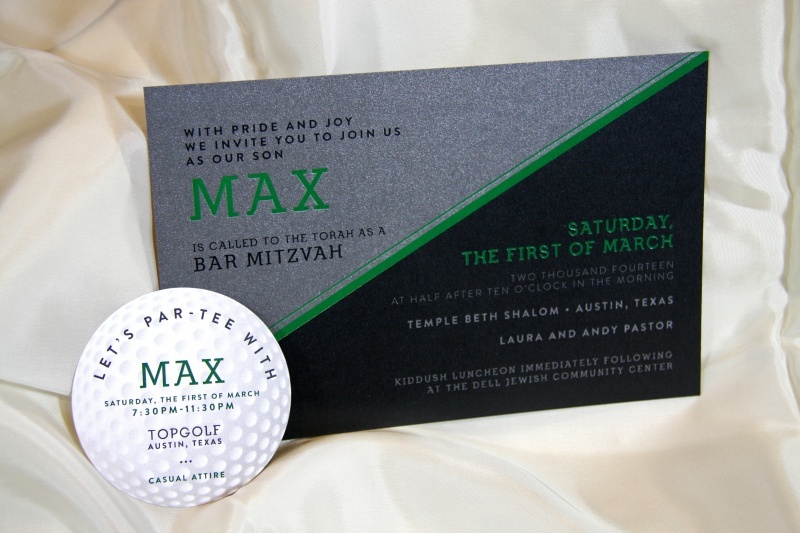 Max wanted his Bar Mitzvah invites to be golf themed and worthy of an avid golfer. We decided on a black printed card with heaping amounts of lustrous silver and green foil to really accent the special occasion. We also die cut a fun golf ball themed party invite to really bring home the theme. We think it is a hole in one!